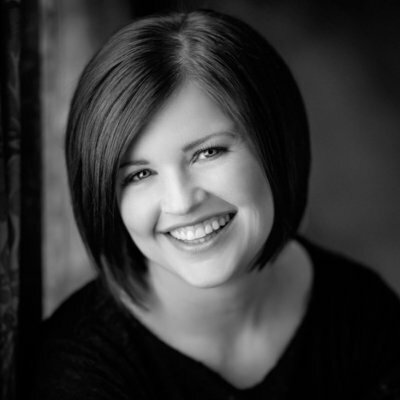 If you are looking for a photographer that is professional, fun, and patient then Heather is the photographer for you! Heather knows her stuff! I will never be able to thank her enough for capturing so many beautiful moments of my babies and my family. Thank you, Heather! You have given me a priceless gift - the comfort and joy found in a memory perfectly and beautifully captured. I will be forever thankful! The photos are touching, beautiful, and perfect. Thank you so much for taking those sweet photos of our sweet baby boy. It was absolutely a pleasure spending the morning with you. You have such a dear way with babies and children. You certainly have true talent! Heather did a great job and I smile every time I walk by the large canvas I have in my living room! Heather is awesome! She works super well with the baby and is so kind to her clients! W felt we were treated extremely well and the session itself was very comfortable. A+! Heather is the best! It is easy to be confident when booking a session with her. I've recommended her to everyone I know. I am at a complete loss as to how to truly thank you. Please know that we are so grateful. What you have done for us has helped heal the large hole in our hearts. The images you have created are priceless. We had such a wonderful experience with Heather. She was so professional and personal. 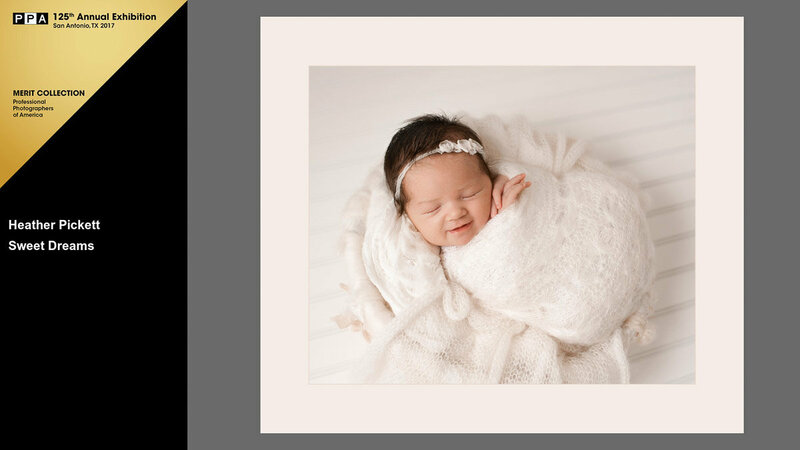 It is incredible how fast babies grow and change, and you captured her at the perfect newborn stage. You take such tender care of all these newborns that you photograph. It was such a peaceful and fun experience! Thank you so much for the amazing photos of Autumn. They are priceless and I can already picture myself watching the slideshow and sobbing 10+ years from now. You are incredibly talented and I'll be sending friends and colleagues your way - we've already received so many compliments on the photos. Heather is a phenomenal photographer. I absolutely adore my pictures! I love every single one. Heather’s attention to detail and patience (oh, is she patient) pays off big time. I have never had a photography session of my children be relaxing before. I got to sit on a lovely couch, drink courtesy water and peruse a yummy snack assortment while Heather did all the work. I was amazed watching Heather in action. She is magic. A total baby whisperer. She has a special touch. She was so sweet with our baby. She patiently helped calm her down into total relaxation. The baby enjoyed it as much as I did! 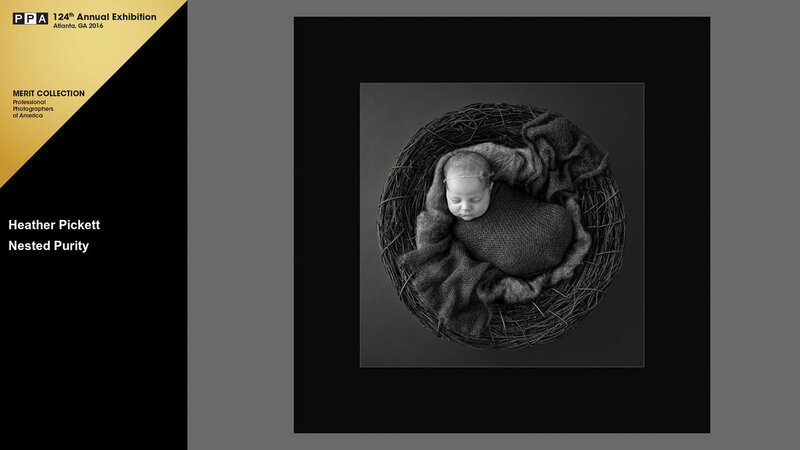 This is evident in Heather’s pictures as she is able to capture darling and serene babies at their best. She even caught our daughter’s nearly invisible, blonde eyelashes and her little neck and back wrinkles. These are examples of the delightful details Heather pays attention to. I appreciated how Heather took the time to find out exactly what I was hoping for in the pictures. She wanted each detail to be exactly the way I wanted it. How wonderful it was to have a photographer without her own agenda. I felt like every wish I had was not only honored, but exceeded. You will not be disappointed. 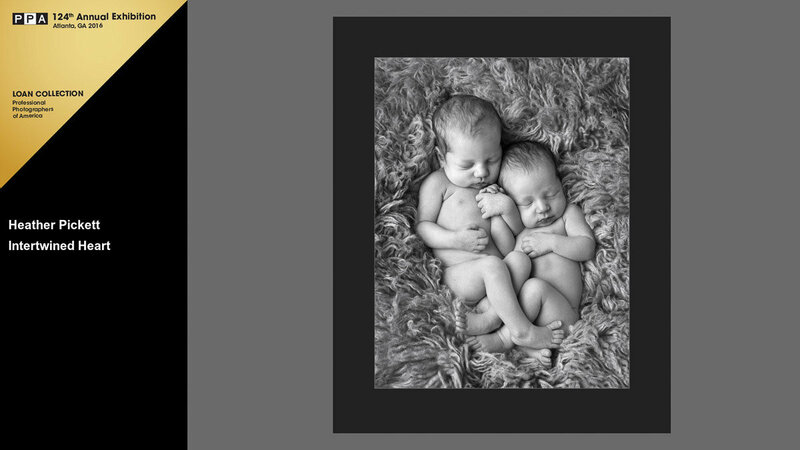 I am a bit obsessive when it comes to choosing a photographer for my kids. I have scoured the Internet to find a photographer that doesn’t give into gimmicks, is not too trendy and does not overuse Photoshop. I found this in Heather Pickett. She is a true artist. She creates timeless portraits to treasure. I get sad thinking about our daughter growing big too quickly. How grateful I am we had Heather capture this precious newborn time when she was so tiny and little. Heather is a fantastic photographer. She is a delightful person. She is sweet, positive and accommodating. She adds classy details that make a big difference. Our entire experience was first class.I cannot say enough good about Heather Pickett Photography! 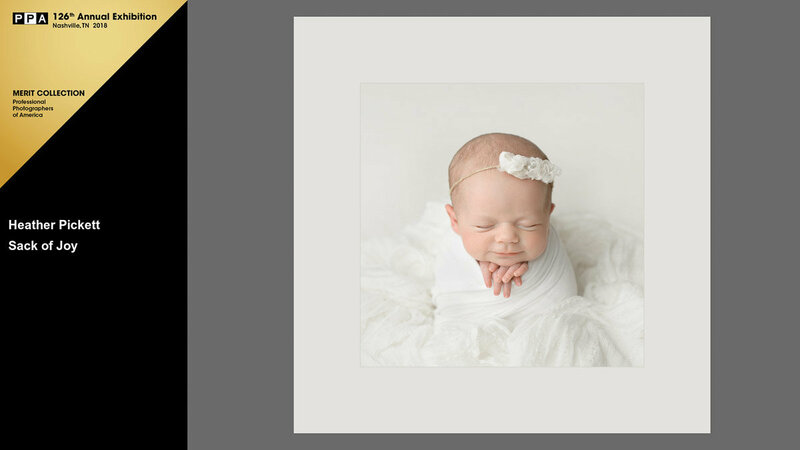 Because the memories with your newborn are precious and fleeting, I believe your newborn photographer should be held to the highest standards in the industry. The Certified Professional Photographer (CPP) is a certification from the Professional Photographers of America and indicates the photographer's high level of knowledge, experience, and technical abilities. A Certified Professional Photographer must complete a written examination, an image portfolio evaluation, and adhere to a strict code of conduct. On a national level, only 3% of photographers (less than 2,000) are Certified Professional Photographers! 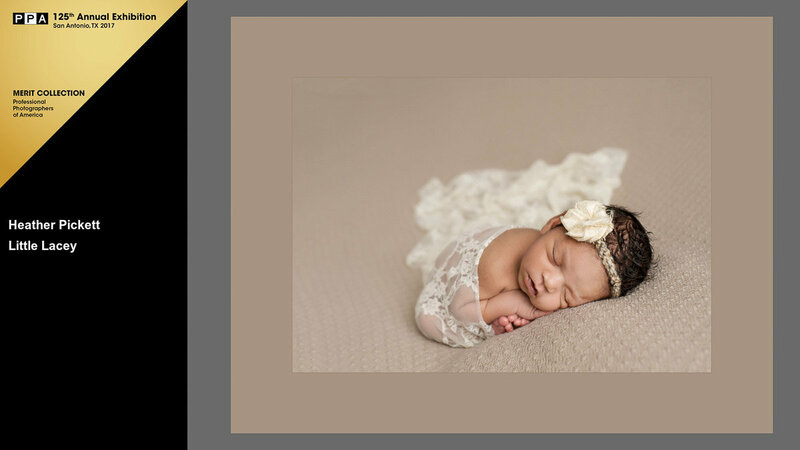 Locally, I am the only Certified Professional Photographer in Salt Lake City that specializes in newborns. Consistency: A Certified Professional Photographer will know how to achieve amazing results every time. You will end up with a strong gallery of images that depicts a consistently high standard of work. Technical Skills: A Certified Professional Photographer has studied and implements technical elements of art, lighting, posing, fashion, and even interior design. They are able to use these elements to create photographs that will fit your unique style. 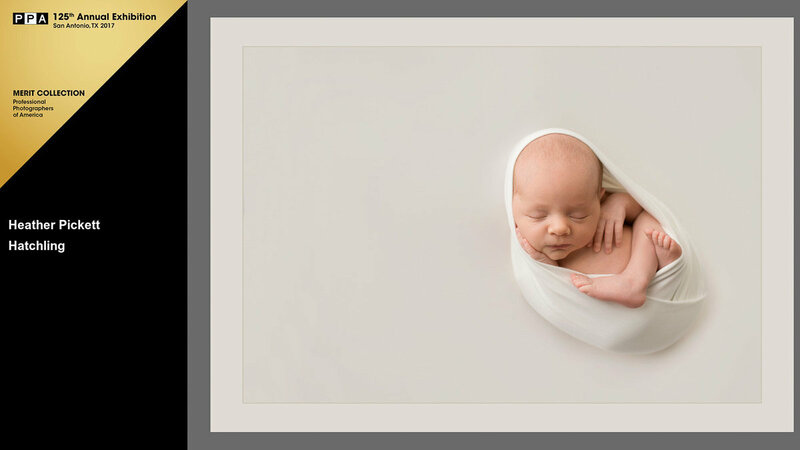 The photographs they create will become a custom work of art that your family will treasure for generations. Unique Artistry: If you want your commissioned artwork to stand out as unique and personal, hire a Certified Professional Photographer. 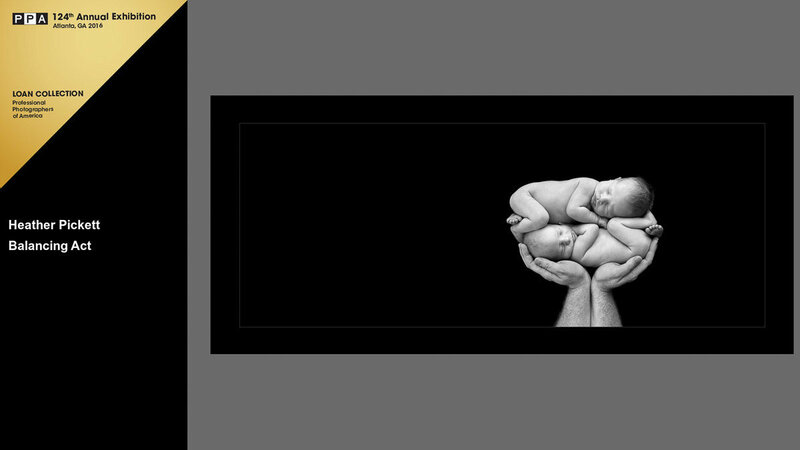 Each photograph they create follows an artistic vision and becomes your story captured as a collection of stunning artwork. Professionalism: Certified Professional photographers are professionals who are willing to go the extra mile to deliver the best images possible. Customer service and satisfaction are cornerstones of their business as they continue to produce products that will exceed your expectations. It's true that just about everyone has a camera these days, and most people can take a good picture now and then. 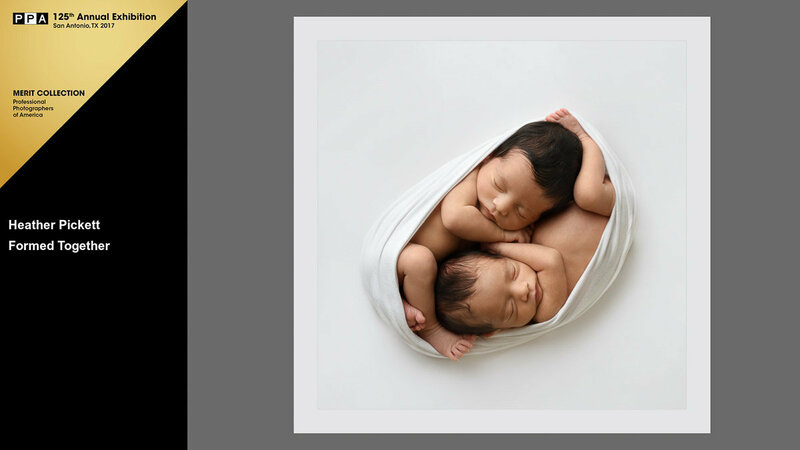 But, when you're talking about your newborn and there's just one chance to capture their perfect newborn details, don't risk it. 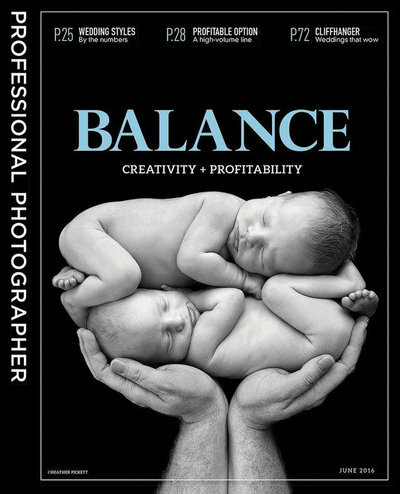 Investing in a Certified Professional Photographer will be an investment you will enjoy for a lifetime. Why should you hire a Certified Professional Photographer? Those nice words mean a lot, but like they say, a picture is worth a thousand words. Let's go look through some cute baby photos!